These pickles all have their place. 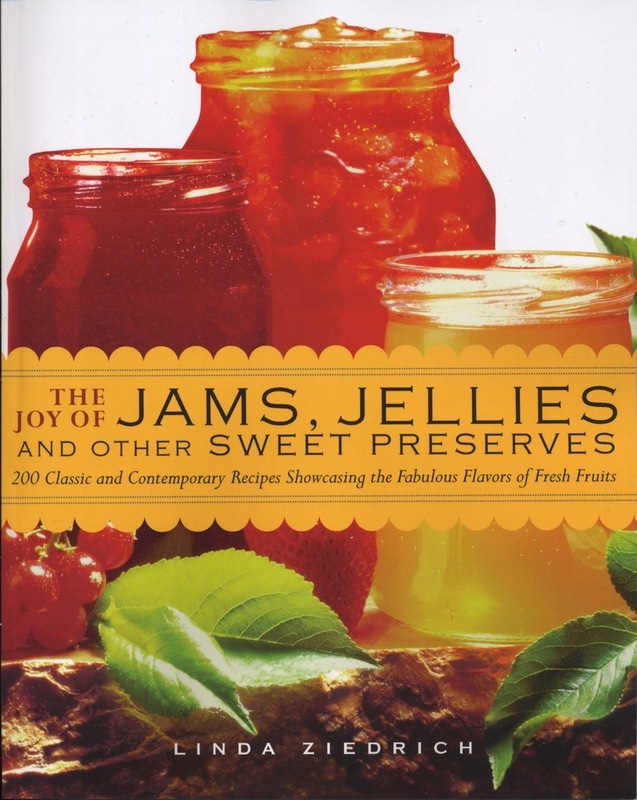 I love sweet pickled figs or plums on the Thanksgiving table, sour pickled grapes on a salad dressed with olive oil alone, and cherry olives with pâté. But for a milder-tasting fruit pickle that complements a wider range of foods and drinks, it’s worth considering leaving out vinegar altogether. Pickling fruits in brine, in the same way as cucumbers and other vegetables, can be another appealing way of extending the season. Rinse the cherries well, and put them into a clean quart jar along with the peppers, garlic, thyme, Sichuan peppercorns, and bay leaf. In another container, dissolve the salt in the water. Pour the brine over the cherries. They won’t float—at least mine don’t—so you shouldn’t need to weight them. Cover the jar loosely, and let it stand at room temperature for about a week. Check occasionally for yeast or mold, and promptly skim off any that appears. When the cherries taste at once briny, tart, and a little spicy, cap the jar and refrigerate it. Serve the cherries cold. I like brined cherries as a small, slow, thoughtful snack, because even for me they are strange and hard to categorize. They are good with drinks before dinner; upon first tasting them my son Ben immediately wanted to try one in a martini. Use a gin with plenty of juniper, he recommends, but light on other botanicals. This entry was posted in Fermented foods, Fruits, Pickles and tagged brining, cocktail cherries, fermentation, fruit, pickles, pickling. Bookmark the permalink. I have got to try this recipe this year! I love pickled fruit-pickled pineapple is tasty, too! Carolyn, I’ve love to hear about how you pickle pineapple. This is a great recipe. I made up a batch a few weeks ago and put it in the fridge after about 4 days – shorter time because of the heat. I’m glad I put it in the fridge when I did – don’t want it to get fizzy! It’s perfect! My son and my son-in-law, both in their early thirties, thought the cherries were fantastic, but impossible to pin down, like nothing else. I agree. Love em. I’m thinking of making another batch or two soon, wondering what would happen if I used fresh peppers? Would I need to slice the Pretty Purple Peppers, or the Serranos (both of which I have plenty of)? I would like to just put the small hot peppers in, whole . .. but don’t know the dosage. I can’t remember whether I’ve brined peppers whole. To do so, I think I would pierce the peppers in several places. 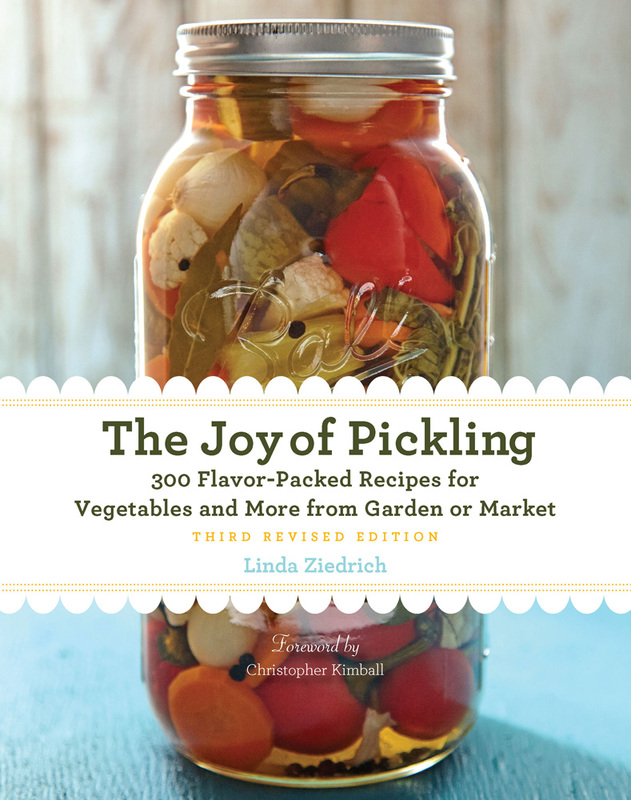 In the recipe for brined peppers on page 71 of The Joy of Pickling, 2nd edition, I call for stemming and halving but not seeding 2 pounds of peppers. I put the peppers into a jar of about 3 quarts capacity and cover them with a brine made from 5 tablespoons pickling salt and 2 quarts water. You could of course add garlic and other aromatics.